I wonder how many 5 year olds know the song by Toby Keith, “Should’ve Been A Cowboy”? Well I do because my parents found it for me and played it. 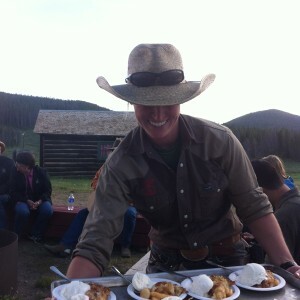 So…when Keystone Resorts asked me to go on the Dinner Wagon Trail Ride I sorta knew what a cowboy was supposed to do. 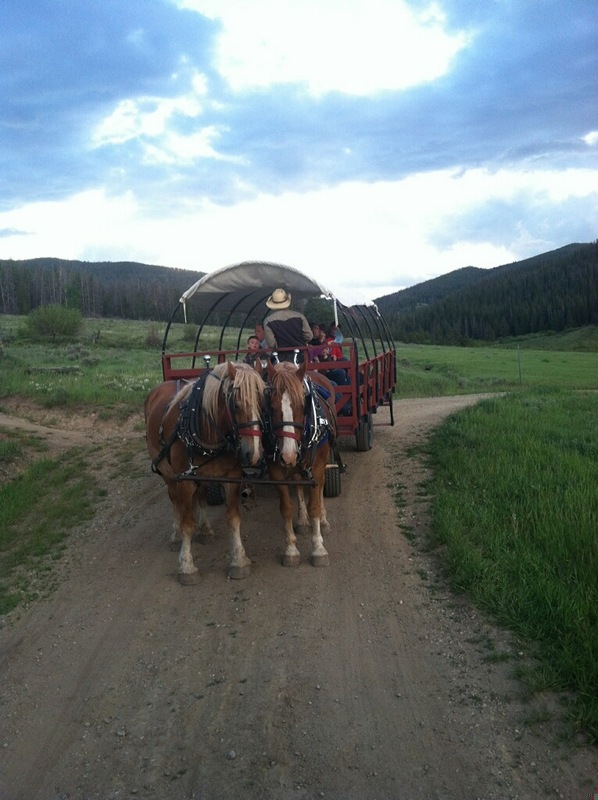 This wagon ride takes you about 15 minutes outside of Keystone to where you load up on wagons being pulled by some really big horses and enjoy the trail with a lot of other nice folks on the trip. The weather was so warm and beautiful and perfect night for me and my parents to pretend for the next 3 hours that we were cowboys and my mom of course was a cowgirl. My mom packed everything we would need in a bag and by the end of the night we had used it all. Sweat shirts, bug spray and a camera. The horses were so cool and in my wagon the cowgirl driving our horses was really good at her job. 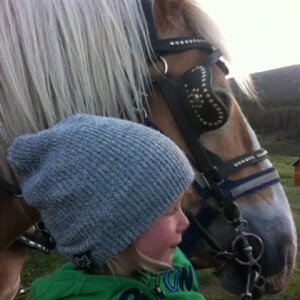 Sometimes the horses would speed up and sometimes they would slow down. They were well behaved horses. 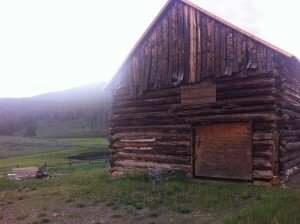 We finally got to the ranch and the sights of the old buildings were so cool. We jumped off the wagon and I began exploring this property that 150 plus years ago was a dairy farm. The farm was set up with all kinds of fun stuff. You could rope a pretend bull. The salad bar was set up and whenever you were ready you could go help yourself. They also had a big horse trough with 100’s of drinks and ice. I got to jump right up on the wagon and choose my own drink. Root beer was my choice, I love root beer! Soon after everyone ate their salad the cowgirl cook rang a real old west dinner bell. We all came running to the cabin for our fill of cowboy food. Ribs were on the menu and they are my favorite food!!!! Yummy, Yummy, Yummy. Once dinner was over we had a cool cowboy who played campfire and western songs. Everyone sat around the campfire singing songs and smelling the awesome campfire. Right before the cowboy was finished singing the other pretty cowgirl that drove my wagon came to the campfire with a big tray of hot apple pie and vanilla ice cream. DELICIOUS! We sang one last song and said our goodbye’s to the cook and loaded up the wagon for our ride home. On our ride home we heard lots of history about the old ranch and they had blankets for us to cover up with. If was really pretty riding home because the sky was changing colors and my mom was snuggling me with the warm blanket. This was one of the coolest things I have ever done at Keystone. I hope all the visitors that read my blog make a reservation to do the Wagon Dinner Ride (and take me). Everyone says being a cowboy was really dangerous and hard work. After my night on the ranch – I just don’t see it! Attaboy Z!!! Great job my friend!